Soap can be beautiful and wonderful to use. You may have seen soap as bakery items, it's too fun not to make these. My first adventure into cupcake soap started with "How did they ice that thing?" After some research I found out I could pipe fluid soap through pastry tips. 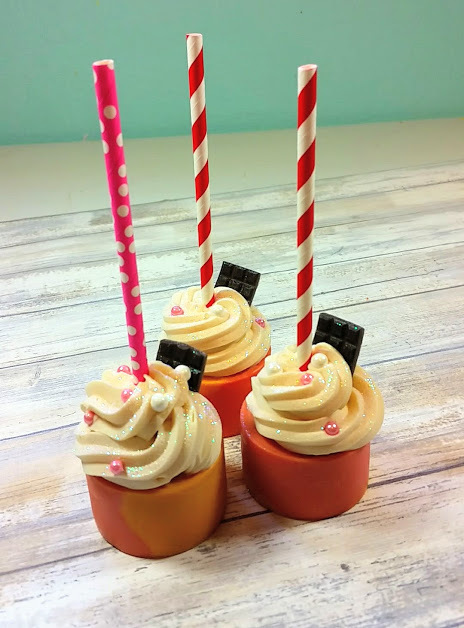 Oh boy it was fun watching both videos on soap making and cupcake icing! This is an art too. Your real royal icing is not going to harden up on you and you learn to work fast! But iced soap is so divine to look at. My icing process is still evolving. Now, is it as good as the soap beneath it? Mine is. It's the same recipe. The difference being how I treat the soap batter compared to it's average cold process creation. In the cold process method, you mix your oils and ingredients and pour into molds. The soap continues on with a chemical reaction called saponfication. It becomes very warm and firm during that. If I plan to use some of the soap as icing it stays in the bowl and I gently fold and stir it to keep the soap from becoming solid for the time being. The light folding helps the soap to cool evenly and it will slowly develop a texture that holds a peak. Kinda like meringue holds a peak when it's ready. I'll make test peaks and watch to see if they hold shape. When those peaks are just right it time to move like lightning. Quickly fill my pastry bag, with attached tip, and make concentric circles tightening in toward the top. Decorate with real candies or fruit and candy soap embeds. I have lot's of fun molds to create orange slices, cherries, strawberries and more. I use melt and pour soap base for most of my embeds. My cupcakes are then lightly sprinkled with glitter and WOW- you've got a very cute cupcake! You don't like glitter? Well, it is very girlie. 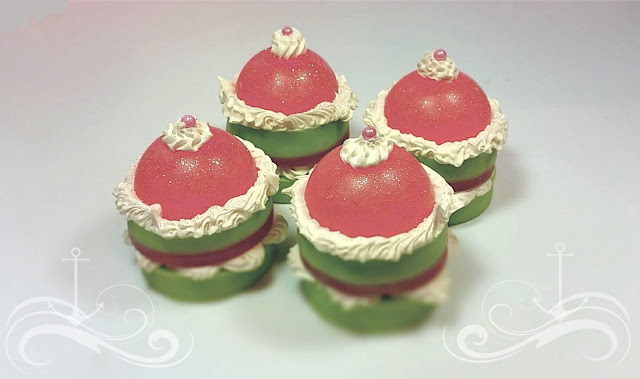 I put glitter on my soaps that resemble foods to help show that "this is not for eating". But something new is coming my way on the subject on glitter! I've been improving my soap supplies toward being more natural and without phthalates and parabens- I just discovered bio-degradable glitter! 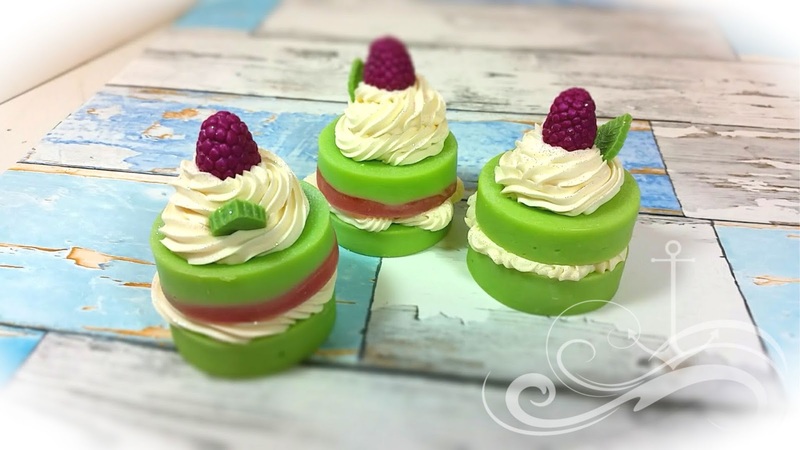 You can check them out HERE at Nurture Soaps. I am going to completely switch to bio-degradable glitter!!! My husband, company President- Steve, and I are currently packing up our Tucson Arizona house as we will be RV traveling cross country to the Maryland condo in 2 weeks. Taking a boat load of pets too. We have lot's of markets to try......and I can't wait to share those craft shows as they come along!